If there are two issues on which nearly everybody in Kent can agree, it’s the need to sort out Operation Stack and get a new road crossing over the Thames to reduce congestion (aka Operation Stuck), to improve the lives of commuters, businesses and residents. Negotiations with Government continue on the issue of Operation Stack and how best to mitigate the impact of thousands of HGVs closing the M20 and causing a nightmare on the nearby roads. Announcements are expected soon, but the costs associated with it seem eye watering, and might be hard for George Osborne to swallow. When it comes to Operation Stuck, it’s all to play for but an agreement on the actual route looks likely to be a little harder to secure, with Dartford Borough Council understandably not wanting the new one alongside the existing one – Option A – which happens to be the cheapest. Next door neighbour Gravesham Borough Council doesn't want the crossing running through its patch and so opposes Option C. This route is the furthest east and much longer than connecting the M2 near Rochester, with both the A13 in Essex and the M25 between junctions 29 and 30. A variant of this would additionally widen the A229 between the M2 and the M20 to the south. Not surprisingly, those organisations taking more of a countywide perspective or who recognise the role a new crossing could have on the economy are pushing hard for Option C or the variant. While this comes with the most positive economic impact it also has the largest price tag. The previous Option B was rightly dropped as it would have killed the prospect of 24,000 jobs currently on the table thanks to London Paramount on the Swanscombe Peninsula. While the route has yet to be agreed it is clear there’s a strong – and increasingly vocal – support for a crossing, arguing it’s of local, and regional, as well as national significance. 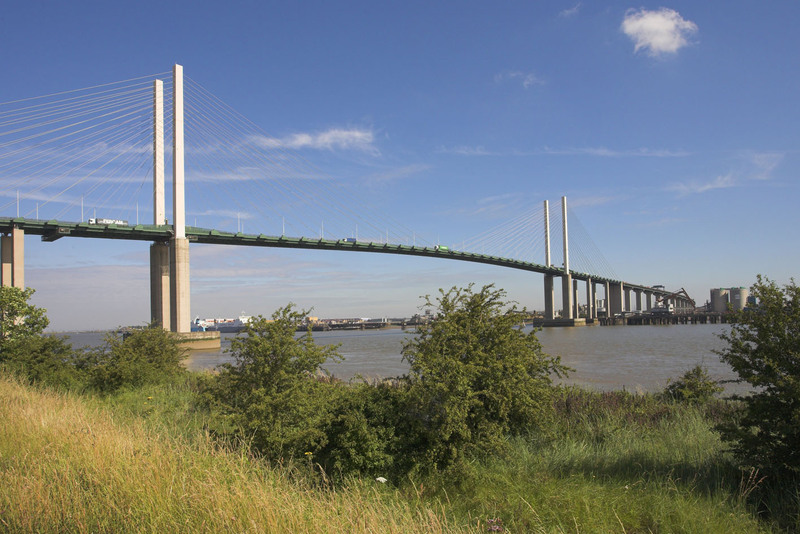 The South East Local Enterprise Partnership (SE LEP) has added its name to a letter calling on George Osborne, Chancellor of the Exchequer, to reaffirm his support for a new Lower Thames Crossing. This asks the Government to set a firm timetable and financial package for its delivery to support the growth of new jobs, skills, apprenticeships, and increased productivity, as part of the forthcoming Autumn Statement and the Comprehensive Spending Review. The Kent organisations behind the letter include Kent Invicta Chamber of Commerce, Port of Dover, and Eurotunnel. They were joined by Essex Chambers of Commerce, DP World London Gateway, Claridon, London Chamber of Commerce and Industry, London Southend Airport and Port of Tilbury London. Transport heavyweights the Freight Transport Association and the Road Haulage Association also backed the letter. The Department for Transport will be consulting on the route early next year, so we can expect a strong push for a decision from both sides of the Thames. Kentcentric will let you know the dates for the consultation so we can all help mobilise Kent and get a new crossing.